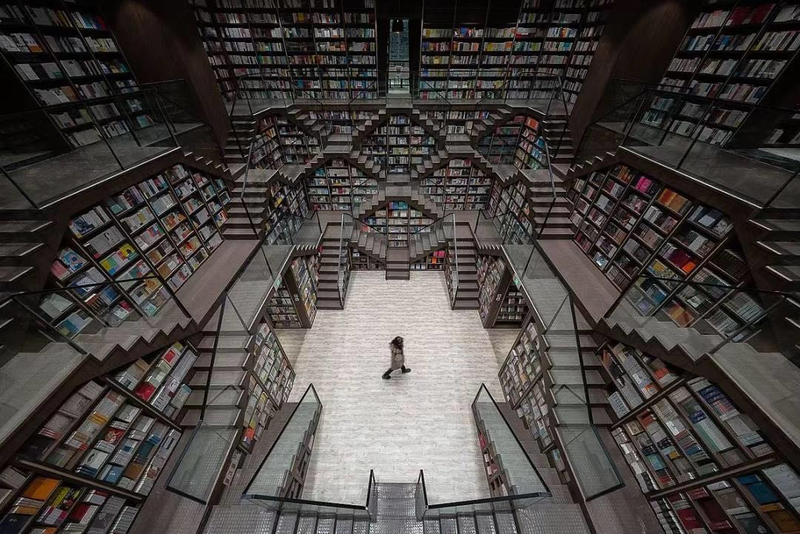 Entering to this book store in China is just like entering in a literal stairway to heaven, this time you'll going to pass through the heaven of books displayed in the walls. 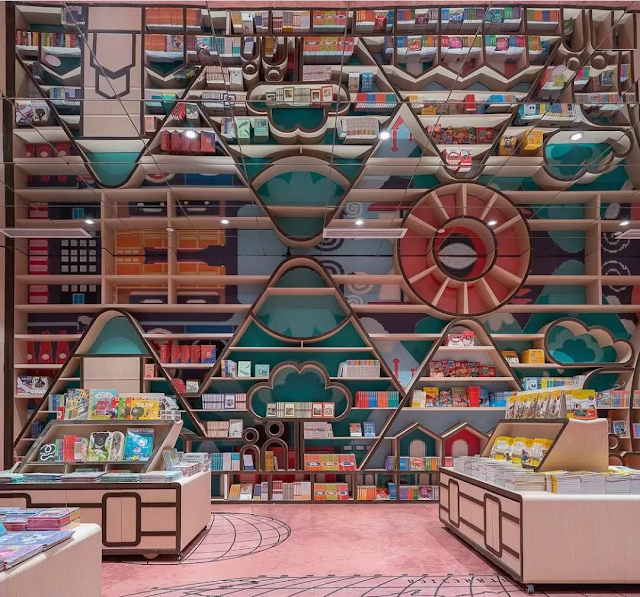 The store is made up of mirrored ceilings that bounces back the whole area of the store with thousands of colorful covers are reflected from wall to wall. The pink children's section will easily steals the young's interest from their electronic addiction. 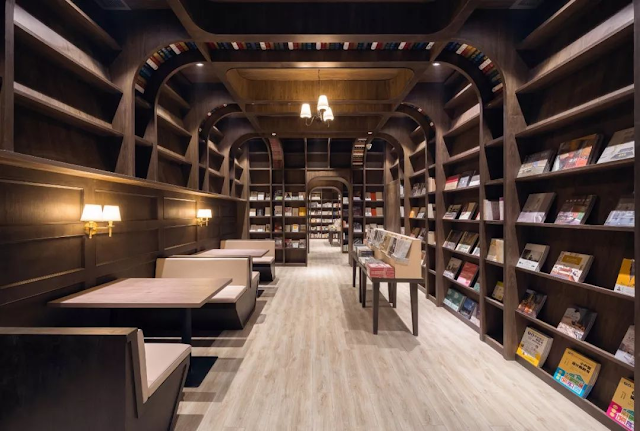 The place attracts interest to readers to step inside Zhongshuge Bookstore in Hangzhou and feel the never ending optical illusion of the huge number of books arrange in a book shelves. 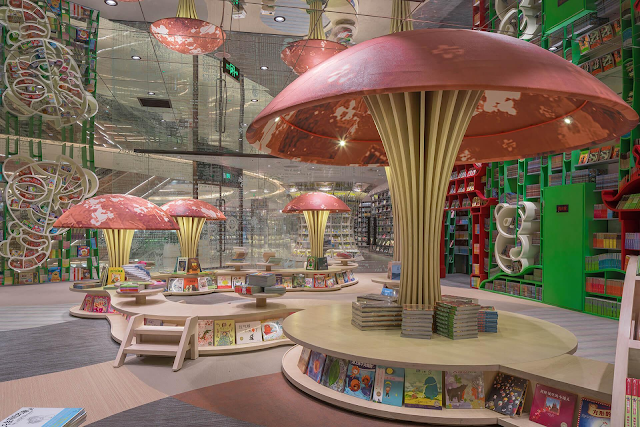 With its forest of giant mushrooms and curved bamboo shelves looks like something out of a fairy tale Alice in Wonderland set up. The the mind blowing concepts of stairs would bring readers from an adapted M.C. Escher's Relativity movie Inception. With vibrant collection of colorful reading materials displayed within a set of rooms going to the stretch of hall ways, turning into a different world.